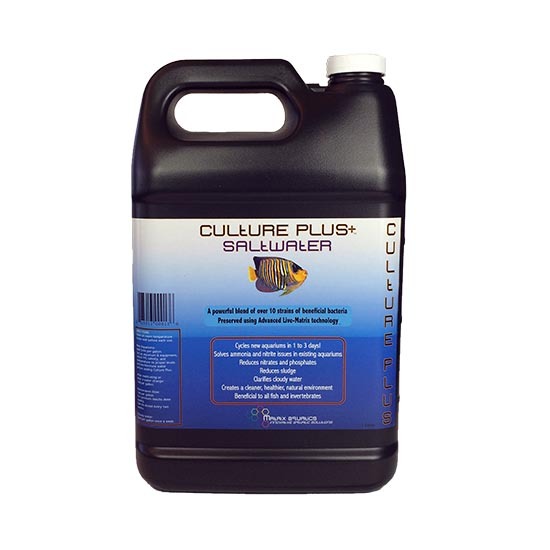 Culture Max is a revolutionary LIVE biological filter media that will enable you to cycle your aquarium in 1 to 3 days. Our high performance biomedia is cultured using our patented Advanced Live-Matrix technology and will remain potent for 2 years from the date of culture. Culture Max can be used to establish new aquariums or to boost your existing aquarium’s biological filtration. Culture Max Freshwater is a revolutionary LIVE biological filter media that will enable you to cycle your aquarium in 1 to 3 days. Our high performance biomedia is cultured using our patented Advanced Live-Matrix technology and will remain potent for 2 years from the date of culture. Culture Max can be used to establish new aquariums or to boost your existing aquarium’s biological filtration. In order to achieve the best possible biological filtration you need a bio media with the highest possible surface area for the bacteria to grow, and a strong, diverse bacterial population. Culture Max has over 150 times more surface area than plastic bio balls and many times more surface area than the leading biological filter media. We have created the perfect combination of biological media together with a powerful blend of LIVE bacteria to ensure superior biological filtration over other existing products. Our super porous biological filter media has tremendous surface area for the colonization of our powerful ammonia and nitrite eliminating bacteria and the right size pores to provide an internal structure for our nitrate and phosphate-removing bacteria to flourish. Nitrifying bacteria need a lot of oxygen to function properly. For best results and quicker cycling install an air pump to add vigorous aeration to the aquarium. New Aquariums: Set up aquarium and equipment, adjust PH, and temperature to proper levels and dechlorinate the water before adding Culture Max. Remove filter socks and leave them out for a week, turn off your UV and ozone generator 48 hours prior to adding Culture Plus to avoid killing the bacteria and leave them off until the aquarium is fully cycled. Add no more than three 2” fish per 10 gallons within 24 hours of adding Culture Max to provide food for the bacteria. Do not feed the first day and then feed lightly for the next 3 days. DO NOT RINSE CULTURE MAX, simply place the Culture Max biomedia pouch in your filter in such a way as to insure the water flows through the mesh bag. Add filter floss before Culture Max to filter out particulates before the water flows through the Culture Max biomedia mesh bag in order to keep the Culture Max biomedia clean. We have included additional bacteria in the pouch to help seed the rest of your aquarium, simply add the remaining water from the package directly into your aquarium. Each pouch treats up to 50 gallons. Effectiveness will depend on your filtration system’s efficiency, how heavily stocked your aquarium is, and how careful you are not to overfeed. For best results double the dosage for every 50 gallons. NEVER RINSE Culture Max live biomedia under tap water. Should your bio media become dirty simply dunk and shake the mesh bio media bag in a bucket filled with aquarium water to dislodge debris. Only leave U.V and ozone off for a week after adding Culture Max. Check your Ph, temperature, and dissolved oxygen to make sure they are in the correct range. 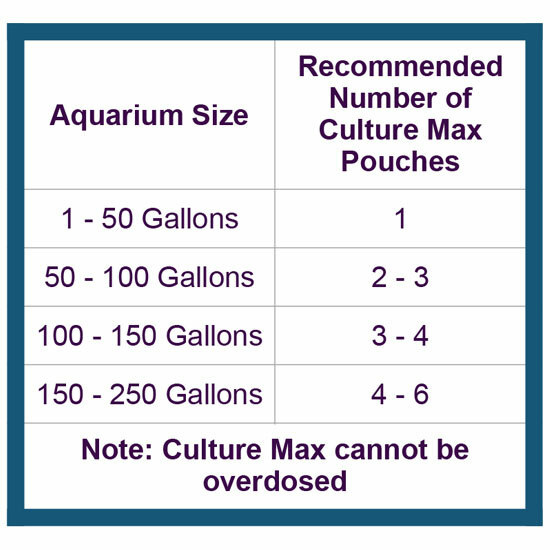 To maintain optimum performance, CultureMax should be rinsed in aquarium water once a month to remove any accumulated debris and dead biofilm. Frankly speaking, CULTUREMAX is one of, if not THE best aquarium biological filtration media supplement we have ever used. The results we have seen using it to cycle aquariums is nothing short of amazing. We have cycled freshwater aquariums in less than 2 weeks with very little appreciable ammonia or nitrite spikes. We have done the same with saltwater over 2-3 weeks cycles. We have also used the product to help customers reduce harmful ammonia levels in aquariums that were not serviced properly, under filtered, or overstocked with specimens. This is our go-to product whenever we sell/install a new aquarium system. I personally put it in every one of our new aquarium proposals. I cannot recommend CULTUREMAX highly enough. It truly is a well thought out product and, bottom line, IT REALLY WORKS! Gonna keep it short and sweet. This stuff really works. I used it on a new aquarium and had fish in the tank about 24 hours after adding the media and I never had an ammonia spike. Thanks to that success when my daughters tank that was established for some time had an ammonia spike I ordered this and put it in her canister filter and the ammonia steadily lowered over a few days and never came back. She also told me that her water had never looked so clear after using this media. 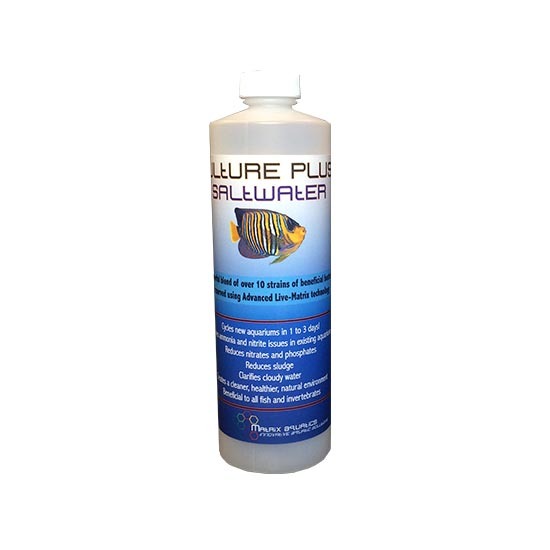 Outstanding product and I will be back because I can now be impatient and set up a tank and add fish to it within a day thanks to this product!! I wanted to say thanks for for your great customer service. Also to say that your products are as advertised. My 75 gallon tank cycled in less than 2 days with your recommended filtration. I will definitely recommend Matrix Aquatics to the two best fish stores in Indianapolis (the reef and Midwest exotic). These are the only shops I go to.